Love is in the air for the month of February, and Brunswick Forest loves helping you make the most of your active lifestyle! There are always fabulous events right here in Southeastern NC. Here are some great adventures to look forward to in the weeks ahead. 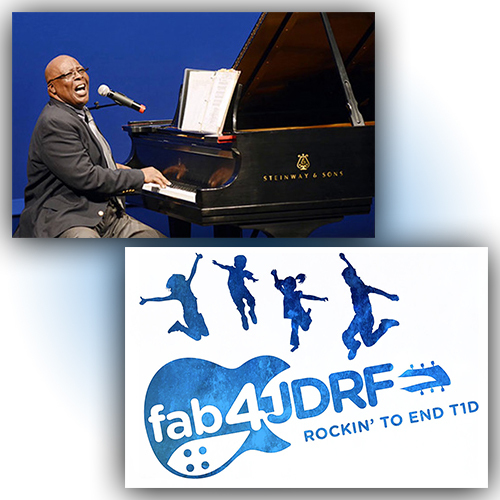 On February 1st the fab4JDRF benefit concert to end childhood diabetes will take place at the Brooklyn Arts Center. Starting at 7 pm, you’re invited to swing by and rock out in the style of the 60s! Enjoy live music by the Moondogs who will be performing a selection from The Beatles White album. The concert will include a silent auction, charity raffle, and feature delicious catering from Middle of the Island. So, if you’re looking to have a great time and want to support a great cause, this concert is for you. Tickets will be on sale for $26 dollars per person! Get down with some of the smoothest beats around! The North Carolina Jazz Festival will be coming to Wilmington from January 31st – February 2nd. Set on the banks of the Cape Fear River, near Hotel Ballast, this is an ultimate destination for any lover of Jazz music. The 39th annual Jazz Festival will showcase well-known artists and feature several different styles of music including Brazilian Jazz. With seven sets a day and up to seven musicians on each set, it’s an event that you don’t want to miss. Concerts start at 7:30 pm and go on until midnight! Southeastern North Carolina may be well known for its natural beauty, but it is also known for the creativity of its local art scene. If seeing work by a myriad of local artists is your ideal way to spend the day, don’t miss out on the upcoming Spring Art Show being held in Southport from February 25th – March 16th! This art show will feature pottery, paintings, and sculptures from local craftspeople. Admission to the spring art show is free. Awards will be presented to the best in show on March 1st from 5-7 pm. Warm up those legs and get ready for a real physical challenge! On February 16th, Oak Island will be hosting its Run Oak Island 2019! This incredible event offers 4 distinct distances including a full marathon. It doesn’t matter if you’re a beginner or an experienced athlete, there is something for everyone. Race distances include a one mile, 5k, half marathon, and full marathon. Visit coastalraceproductions.com and see if you can rise to the challenge. Nothing says “I love you” like a little humor to warm the February atmosphere! On February 14th from 7-9 pm at the Leland Cultural Arts Center, you can add a little levity to your evening by taking someone you love to this clever comedy routine. My Funny Valentine, aka Couples Un-Therapy, will treat you to an evening of fun and laughter. This show features humor based on life, love, and happiness. Headliners for this routine will include Vinny Mark and Jodi Weiner. Tickets are $15 at the door and LCAC 2019 VIP tickets will be also be valid to use for this event. Amazing fun is always around the corner, both in and around our master-planned community of Brunswick Forest. No matter what you’re in the mood for, our location ensures that a fun time is never far away.